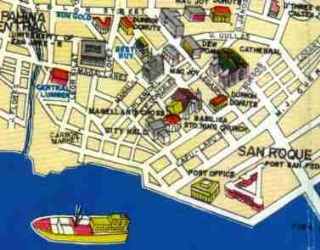 Santo Nino, is with Magellan’s Cross, the most popular symbol of Cebu. Expressive of the pleasing oppositions in Cebuano culture, it is at once both foreign and native. In history, it was made by Flemish artisans, brought to the island by Ferdinand Magellan in 1521. In local tradition, it is a miraculous piece of wood, cast out of the Visayan sea, worshipped from “times immemorial”. On the other hand, it is a powerful deity that, in the colonial period, was called Capitan General and honored with a 21-gun salute when taken out from the church for a procession. On the other hand, it is an icon that “disappears” to become a playful and innocent child cavorting with peasants and fishermen. Invoked by rulers and subjects to the present day, enshrined in business suites and cardboard shanties, it is metaphor for Cebuanos as a people and for what they desire. 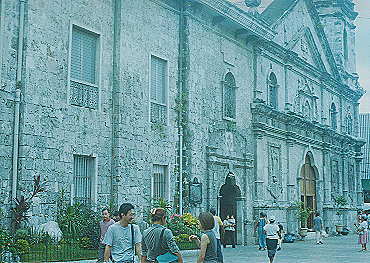 It is told that when, in the days of Legaspi, the capital was moved from Cebu to Manila, the authorities decreed that the image of the Sto. Nino should also be moved to the new capital. So, the image was crated and shipped to manila, but the crate arrived there empty. The image miraculously disappeared, reappearing in its shrine in Cebu. It was recreated, and the crate placed inside another box, and then shipped to manila. Again, the boxes arrived in Manila empty. The image was crated a third time, and the crate placed not in one but in two boxes - but in vain. 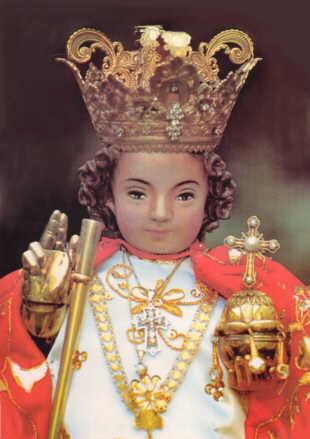 The Santo Nino was back in Cebu. Manila finally gave up and Cebu kept its little Lord. Today, it is said, one can still notice how unevenly the Santo Nino stands. It is a sign of how, at one time, it had been amputated to keep it from returning to its beloved home. In other versions of this story, the image was shipped not to Manila but to Spain. Whatever the version, however, it is a story told to show how intimately wedded to each other Cebu and the Santo Nino have become. 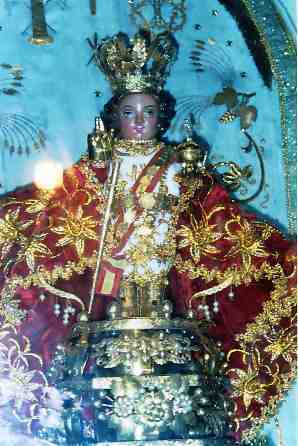 IMAGE OF SANTO NIÑO - Considered as the oldest religious relic in the Philippines. 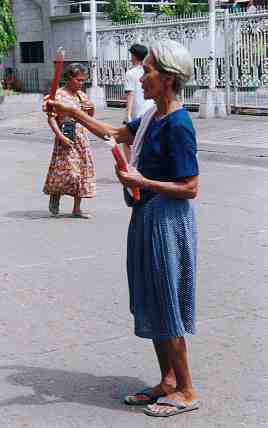 It was on April 14, 1521 that Magellan gave the image to Queen Juana as a baptismal gift. Forty-four years later, on April 27,1565 when Miguel Lopez de Legaspi arrived, Fr. Andres de Urdaneta who formally Christianized the Cebuanos, found the Native hostile. Legaspi besieged the settlement and set the village on fire. 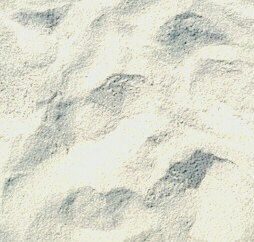 It was on one of the burnt houses that Juan Camus, a soldier, found the image of Sto. Niño unscratched. 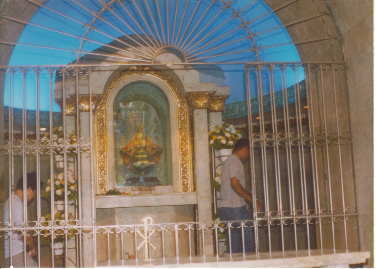 Since then, the miraculous image has been venerated by the Cebuanos as its patron saint. At present, the miraculous image is kept in the parish convent, and a replica is adorned with gold and precious stones and enshrined in glass. 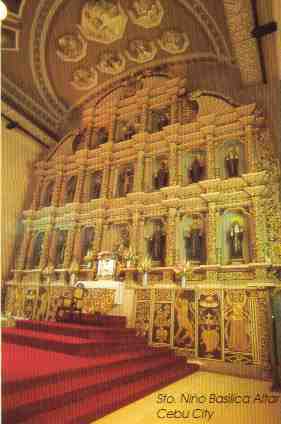 It is housed in a side altar inside the Basilica Minor del Santo Niño. 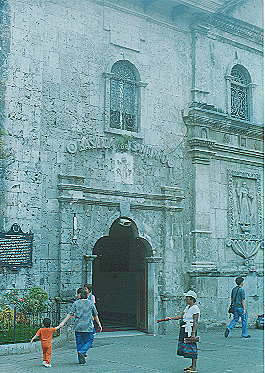 Basilica Santo Nino: Die Kirche beherbergt eine ganz besondere Kostbarkeit der Cebuanos. Die schwarze Figur des Santo Ninos. Wer diese Figur (Schutzpatron aller Cebuanos) in der Kirche sehen will, wird sich in eine recht lange Schlange von wartenden Gläubigen einreihen müssen. Nur hier in Cebu ist der Santo Nino schwarz. Die vorherigen Kirchbauten an diesem Platz sind alle dem Feuer zum Opfer gefallen, nicht aber die Figur des Santo Ninos, diese blieb unversehrt ,wurde aber schwarz (diese Geschichte ist mir erzählt worden, ich weiß allerdings nicht, ob sie auch stimmt). Die heutige Steinkirche selbst wurde 1740 fertig gestellt. In Bohol stehen noch ältere Kirchen aus der spanischen Epoche. 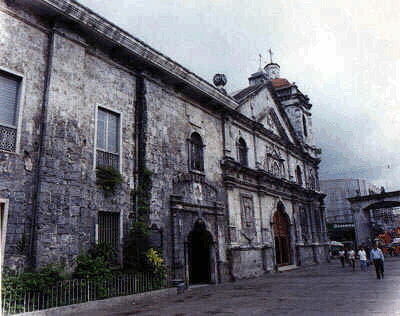 BASILICA MINOR DEL SANTO NIÑO – This church was built by Miguel Lopez de Legaspi and Fr. Andres Urdaneta on the site where the image of Santo Niño was found in 1565. The first structure of the church was, however, destroyed by fire on November 1, 1568. It was rebuilt in 1602 under the administration of Juan Albaran and was rehabilitated in 1740. 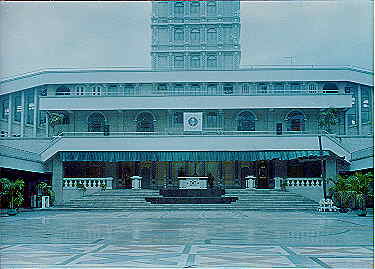 On May 1965, the church was conferred the title of Basilica Minor del Santo Niño Antonuitte, Papal Legate during the Fourth Centennial celebration of the Christianization of Cebu. Sinulog is a dance ritual in honor of the miraculous image of the Santo Nino. The dance moves two steps forward and one step backward to the sound of the drums. This movement resembles the current (Sulog) of what was known as Cebu's Pahina River. Thus, in Cebuano, they say it's Sinulog.